The Erie County Department of Health (ECDOH) is investigating a foodborne illness outbreak associated with Mighty Taco restaurants in New York state. The investigation is being conducted in cooperation with the New York State Department of Health, Niagara County Department of Health, and the New York Department of Agriculture and Markets. There have been reports of 104 people sickened as of October 6, 2016, with symptoms of nausea and vomiting. Those sickened apparently ate refried beans from one of the eleven Mighty Taco locations in Erie County. Illness onset dates range from September 27, 2016 to noon on October 6, 2016. There is no word on whether anyone sickened in this outbreak has been hospitalized, or how many are still ill or have recovered. It’s unusual that an investigation pinpoints a food that may be associated with an outbreak before they have even identified a virus or bacteria. The press release states, “as this is an ongoing investigation, those numbers may change as additional reports are received.” There are eighteen Mighty Taco restaurants in Erie County. Mighty Taco is cooperating in this investigation. 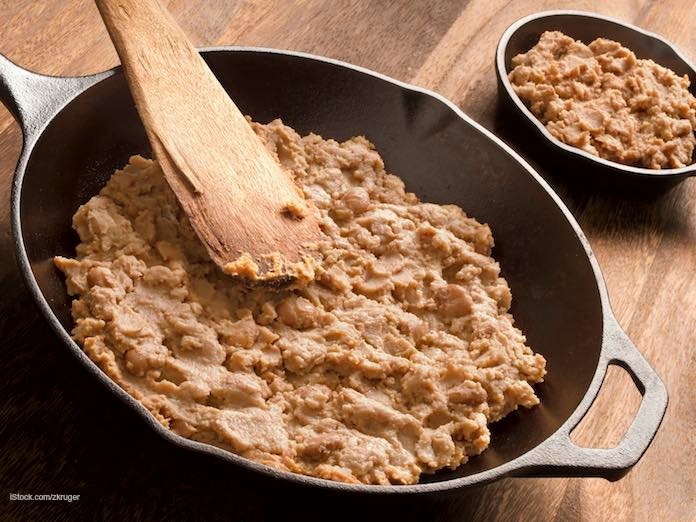 They have removed the batch of refried beans that is the suspect in this outbreak and “that batch is no longer available to customers,” according to press releases. The investigation includes evaluation of the nature of the illnesses, along with inspection of the restaurants and interviews of patients. Public health officials will sample and analyze food ingredients at the restaurant and within the supply chain. Samples from case patients are going to the New York State Department of Health’s Wadsworth Center in Albany for testing. Test results are not expected before the end of next week at the earliest. There is no word yet on what the illness may be. It could be norovirus, or it could be a foodborne illness such as Salmonella, E. coli, Shigella, or Campylobacter. The press release did not state the time lapse between eating the refried beans and symptoms appearing, which would be another clue to the cause of the outbreak. If you ate at a Mighty Taco restaurant in late September to early October and have experienced nausea and vomiting, see your doctor. Then call the ECDOH Office of Epidemiology and Disease Control at 716-858-7697 to report your illness. Your case and interview may help solve this outbreak.